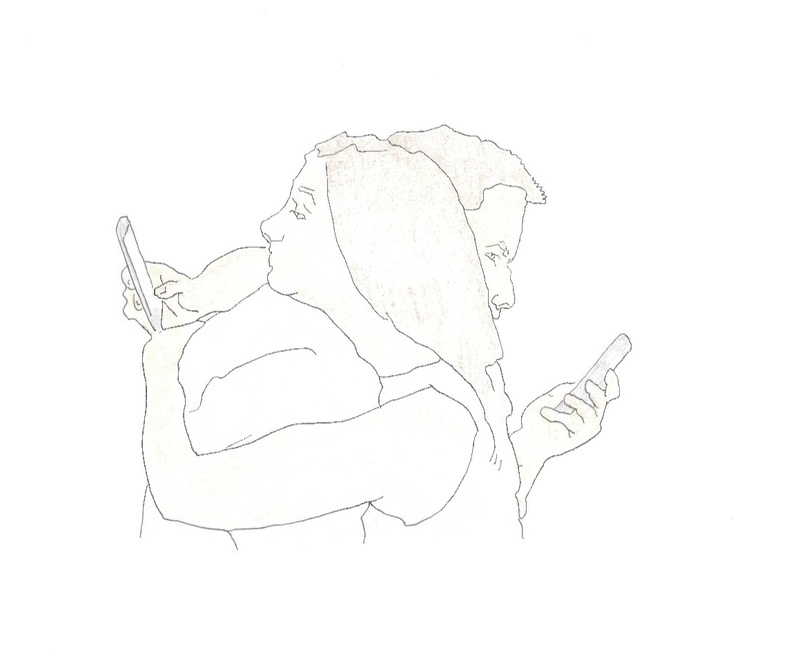 The Intimacy Exhibition that was held in the Science Gallery this year explored the ways technology can minimise the distances that separate us in our relationships. Throughout the exhibition, the various installations challenged the boundaries our screens and devices often form around us. There was a pillow, wired to sync with another to mimic the dent of a loved one’s head beside yours. There was a phone that, when picked up, connected to an affiliated exhibition abroad and allowed you to chat to another gallery-going stranger. As you wandered around the exhibit, the installations implored you to analyse the barriers to communication in our daily lives, and how we might be able to innovatively and creatively use the tools at our disposal to break them down. On the outskirts of the exhibition, you were faced with an array of sticky notes. Advertisements of people looking for relationships, friendships, and anything in between. Notes that described the authors’ ideal partner, with their Instagram handle or Snapchat username scribbled at the end. This display of “missed connections”, sparked the interest of one of Trinder’s future admins and it was a few days after their visit, coincidentally around Valentine’s Day, that the two admins set up the infamous Facebook page. To some extent, most young people have a parallel life online, mimicking, commenting on and complementing their “real life”. Within any university community, a parallel world also exists online. Trinder is one of the most recent additions to Trinity’s online agglomeration of pages and platforms. The page hosts the anonymous crushes, fancies, worries, and qualms of Trinity’s student populace. It offers a platform where students can share their experiences as they try to navigate the treacherous waters of the college dating scene. The admins have opened up a space where students can, as outlined in the page’s bio, “jump into the void, be bold, dig even deeper into the darkest secrets your heart contains”. So, have these mysterious admins created a medium where students can uninhibitedly do just that? And, if so, what have they unleashed? Now stocking up 5.5k likes, the two admins of Trinder recall the journey of the surge in Trinder’s popularity. “It lay dormant for a few weeks,” Admin One says. Having then contacted the Halls JCR, Trinity Collidge, and various other influential online pages in Trinity to share the page, “it blew up”. Admin Two remembers one of the moments where they realised Trinder had really taken off. As an experiment, one of the admins made a very specific Trinder post about a friend, while they were both outside the Edmund Burke theatre. The friend had bright blonde hair and was sitting beside a girl in a red hoodie. Seconds after the post, people around the vicinity “literally turned and a group beside us started laughing”. Receiving about seventy submissions a day, the admins talk about their process of filtering. From someone expressing their excitement for an imminent meet-up with their crush for coffee, to a borderline aggressive appreciation for the girl in the front of the lecture hall from “the lads” in the back, the Trinder admins have seen it all. The admins avoid very specific details, names, and targeted posts, as well as trying their best to judge what is inappropriate to put out there. “It’s a grey area and sometimes we might get it wrong,” says Admin One. “We don’t know the ins and outs of people’s relationships,” continues Admin One, explaining how it’s hard to know if the post “could actually be something really offensive”. They say they constantly ask, “is this okay?” before sharing the student’s confessions and hoping to maintain the page as a positive, fun platform for Trinity students. The two admins also notice the Trinder page having “become this weird sense of community,” hoping that this has helped encourage some form of a dialogue between students on campus. Admin One believes that “the drastic rise in popularity reveals that there has been a need for this forum, this space”. Soon after Trinder’s conception, Trinfess was created by the same admins to accommodate some real-life concerns and worries they were receiving on the Trinder page. The page was set to publish students’ observations of College life, but has quickly turned into something more, becoming awash with students who are struggling with their mental health, or who are circulating “malevolent and targeted submissions”. The admins admitted that they simply weren’t equipped to deal with this, and it was not what the page was intended for. Instead, they have decided to “not publish submissions that fuel toxic debate,” and have linked other sites and services in Trinity that can cater to students struggling with their mental health. Michael McDermott, the admin of the satirical Facebook page Trinity Collidge, is a prominent figure in Trinity’s media presence. “I was thinking if I was going to College in the 1980s, how would I fare?”, shares McDermott. “I basically came to the conclusion – not well.” As a Nanoscience undergraduate, McDermott recalls the difficulties he experienced in his first year meeting people, and his struggle to “express myself in social events”. McDermott found that the Facebook groups for different courses was the “place where I could make jokes,” saying that if it wasn’t for these Facebook groups, he “probably wouldn’t have met many people”.